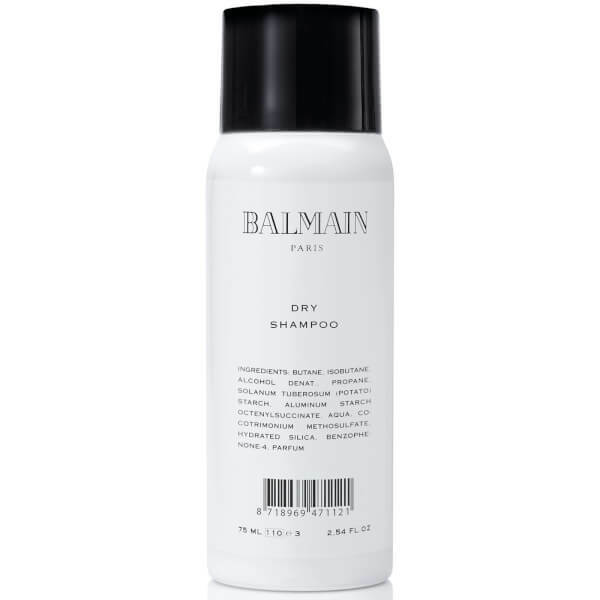 Suitable for all hair types, the Dry Shampoo from Balmain Hair instantly revives your style between washes to banish any signs of grease at the roots. Ideal for post-workout, travelling and transforming hair before a night out, the cleansing formula blends Argan Oil and Silk Protein to refresh lack-lustre locks, leaving it feeling soft, smooth and subtly fragranced with a freshly washed appearance. 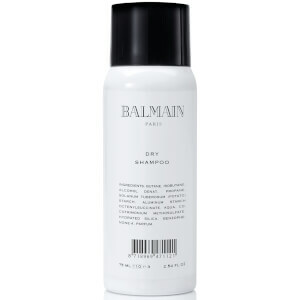 Can also be used as a styling product to create a full-bodied, voluminous look with a matte finish. Shake well. Hold 20-30 cm (10-12 inches) from head and mist through layers with light, even strokes. Let dry and shake out excess with fingers or brush through. Butane, Isobutane, Alcohol Denat, Propane, Solanum Tuberosum (potato) Starch, Aluminium Starch octenylsuccinate, Aqua, cocotrimonium Methosulfate, Hydrated Silica, Benzophenone-4, Perfume.